There’s no party which has mastered the art of ‘whatsapping’ better than the BJP. The digital world, or internet as they say, was only confined to a few things such as mailboxes, websites, social media applications, e-commerce and search engines until recently. What changed the dynamics of digital world then? When and how did the digital world occupy space with the real world? The answer is Barack Obama’s 2008 presidential campaign. It was for the first time ever that social media was used as a platform to reach out to potential voters. He chose Twitter not just to interact with the people but also introduce his platforms and views. Obama was the only presidential candidate who took advantage of Twitter as a social media tool in 2008. It was his real-time reaching out approach powered by Twitter that worked for him and he became one of the most followed people. He realised the significance of social media in the 21st century and he used it to its fullest potential. Media pundits dubbed 2008's election as "The Facebook Election"; however, that was before anyone understood just how explosive social media would become. "Were it not for the internet, Barack Obama would not be President. Were it not for the internet, Barack Obama would not have been the nominee," Huffington Post founder Arianna Huffington said, at the Web 2.0 Summit following the 2008 election. Social activist Anna Hazare led a team which aggressively protested for transparency in legislature and bureaucracy through the Lokpal Bill. One of the reasons why this movement became a national movement was its massive as well as effective presence on the social media which resonated with a lot of Indians. The movement travelled across India due to a mirror movement which was being carried out through digital sources. Among the Indian politicians, the then chief minister of Gujarat Narendra Modi became an active voice on social media platforms, especially Twitter, way back in 2009. 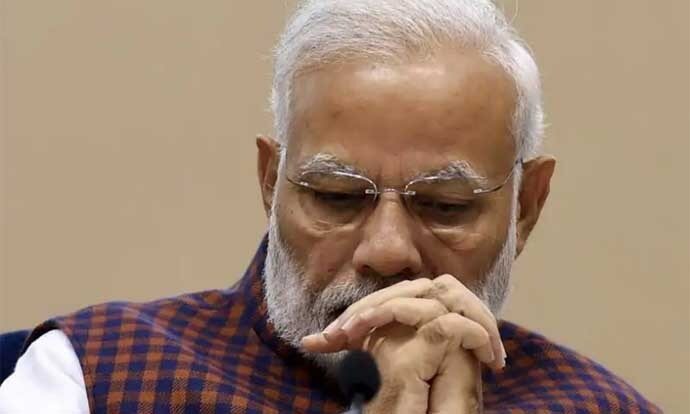 Before any party, leader or activist, Modi gained popularity on the digital platform as he also encashed upon the real time response on issues. Modi has a giant advantage in the social media sphere. He also has many more connected supporters than any other politician in India. Delhi chief minister used digital media to reach out to even the last man especially in the national capital, which did bring good results as the Aam Aadmi Party came to power with a thumping majority. India has more than 500 million internet users and every month the country adds 10 million active users, this makes India the second-largest online market with the highest rate of addition. This usage speaks volumes about the significance of social media in elections. Facebook alone has 270 million active users in India, while Twitter has more than 10 million, as two major platforms for determining as well as establishing political discourses. Today, social media platforms like Facebook, Twitter, and Instagram have become instrumental in influencing voting perception and increasing voter participation. While the total active internet users in India are 462 million, active social media users reach up to 250 million. With respect to the role of social media in elections, the 2014 general elections were corroborative. It was in this regard that it was also believed that social media has become a podium where the political parties, leaders and activists can present their views and defend them as well. This has made them even more accountable as all their positives and negatives are exposed to the masses alike. The general elections of 2019, followed by three Assembly elections — Chhattisgarh, Madhya Pradesh and Rajasthan —will witness the largest as well as the most significant real and virtual contest among the parties. The main national parties — Indian National Congress and the Bharatiya Janta Party — will lock horns both on the ground as well as in the digital space. While regional parties such as AAP also have a fair share of influence, these elections will solely be between the BJP and INC.
Colour: When it comes to branding, colour plays a powerful role in what your brand stands for. The significance of colours as a variable is that the colour combinations as determined and approved by psychologist’s impact the reach of the content. Brands and colour are inextricably linked because colour offers an instantaneous method for conveying meaning and message without words. For instance, if the colour combinations are not kept in mind and if there is no difference in the colour combinations of a soft post or a strong and aggressive post, the purpose of that particular content is defeated. Clarity: Make it easy to understand. The objective here is to make sure you are getting your message across using the most effective formatting and language. Coordination: A successful social media strategy requires a lot of coordination from the party and it’s important to have a system in place. The coordination between all the key stakeholders is the key to success. Keeping in mind the four Cs and their significance, it is very important to analyse where these two national parties stand. The BJP for instance, focuses on creating content with saffron as its primary colour in its content. The BJP’s stronghold lies in its messaging which is always clear with their creatives, videos and their post-copies on all domains. The Congress these days is seen experimenting with the rainbow colours — one can see them using every colour in the shade card from red, blue, black, and grey — forgetting their core brand colour. It can be confusing for their voters as people associate with colours. Not to forget that the colours define a certain political ideology too. The Congress is primarily active on Twitter and most of its content which they cross-post is meant for the consumption of Twitter audience mainly. The content which was mainly English dominated has seen some change in the last few months, where the grand old party has started using Hindi as a medium of communication with its followers/voters and it has increased Congress’s social media reach. But the data from the Facebook page of Congress and Congress president Rahul Gandhi is an evidence that the Congress is still lagging behind on Facebook and needs more push. WhatsApp holds a significant position for political parties in terms of determining their political discourse. India has 1.14 billion mobile phone connections and at least 200 million people with WhatsApp accounts. While analysing closely the social media strategy of the BJP, it’s quite evident that the mobile phone is shaping to be BJP's most important weapon in elections and WhatsApp is the most important medium. Another noteworthy aspect of WhatsApp is its rural reach though other platforms are largely confined to the urban territories – WhatsApp is a platform which spreads out evenly across the country. BJP believes that the 2019 election is going to be fought on WhatsApp and there’s no party which has mastered the art of ‘whatsapping’ better than the BJP. The BJP has a stronghold on the WhatsApp community while the Congress is yet to penetrate it. In 2019, the focus of both the national parties will be to reach out to the younger generation that depends more on the social media than the traditional sources for news. The Congress will have to formulate a ‘WhatsApp-counter strategy’ as it will have to counter 35,000 cell phone pramukhs/volunteers in every constituency as planned by BJP president Amit Shah. One can estimate the performance of both the parties on WhatsApp from the type of content which is posted in your not so political groups, family, friends, school-college alumnus, professional, residential groups etc. The other day, I received a Shankar Mahadevan audio-visual on my family and residential society’s group. The three-minute propaganda video was to mesmerise the viewers with how India is becoming a fast developing nation; we all know it isn’t but then that’s the power of propaganda. Modi has mastered the art of propaganda. 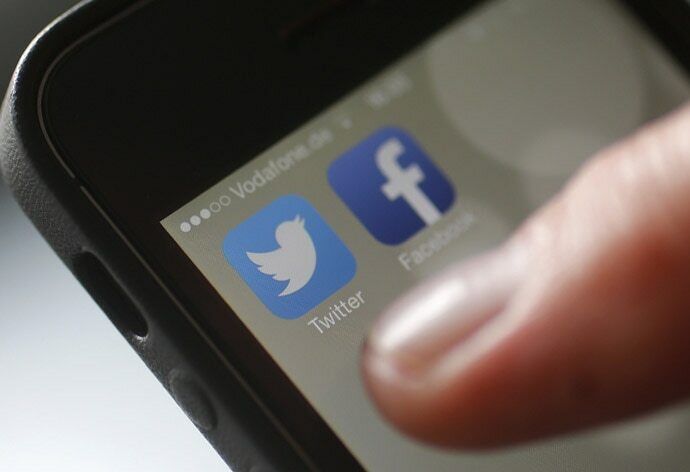 For political parties, social media has become a potent campaign tool, both for collecting information as well as customising and getting their message to voters, and it’s being used the world over. The social media or virtual presence of the BJP has never run out of a unique strategy to keep its followers and volunteers inactive. The digital initiates of the BJP set a path for the Congress to follow. The BJP has opted for a classic “bottom-up” approach, where the content is disseminated in such a way that it returns back to its point of origin. The BJP strategy depends on two E’s – engage and encourage, while the Congress strategy is simply that of 2 D’s – defend and defame. The BJP has actively and from the very beginning used its platforms to defame and take a dig at Rahul Gandhi and the Congress party. The Congress on its social media could not strike a balance between leaders and the party. The official handle of the Congress is very selective in terms of promoting leaders, unlike the BJP which actively supports its leaders even in the virtual world. Congress’s social media has therefore become monotonous as their only strategy is to attack PM Modi 24*7 without building their own narrative. The BJP which clearly is the master of the digital world very tactfully strikes a balance in terms of the content that is posted. When the BJP seems prepared to take on all the five Assembly states and the general elections together on social media, the Congress’s strategy is still on the papers. Further, what has significantly contributed in terms of disengagement and engagement has been the rate of errors. Congress commits one-two errors on an average per week. On the other hand, for the BJP it is a once in a blue moon situation. Both parties actively contribute to pushing out controversial content. The Congress is often seen at the receiving end, inviting a controversy to mark its digital presence. In terms of the unofficial content, again the BJP has an advantage. It will not be wrong to say that the BJP sends its unofficial messages through Facebook and majorly through WhatsApp. In this respect, AAP supporters do really well in terms of countering what the BJP instils. For the Congress, it is only few pages and a few individual who contribute in their individual capacity. A close look at this tracker tells a very interesting story about the Facebook performance of the political parties. 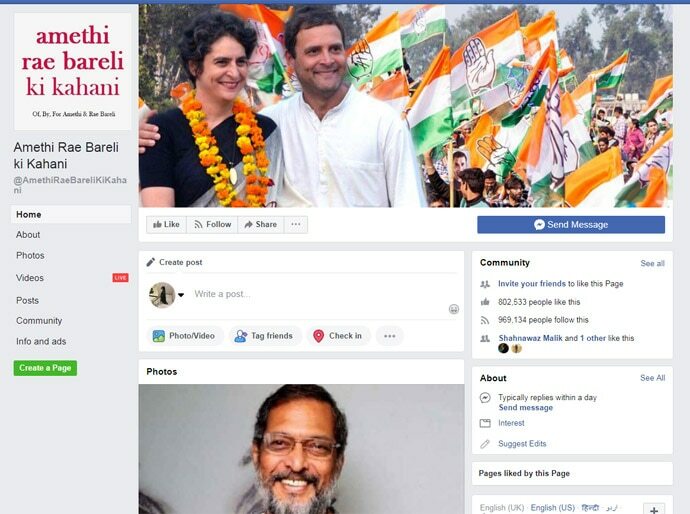 The notable one is an independent Facebook page run by the fans of Rahul Gandhi and Priyanka Gandhi, Amethi Rae Baraeli Ki Kahani. The page with less than a million followers is ahead of the BJP and the Congress pages in terms of weekly engagement. 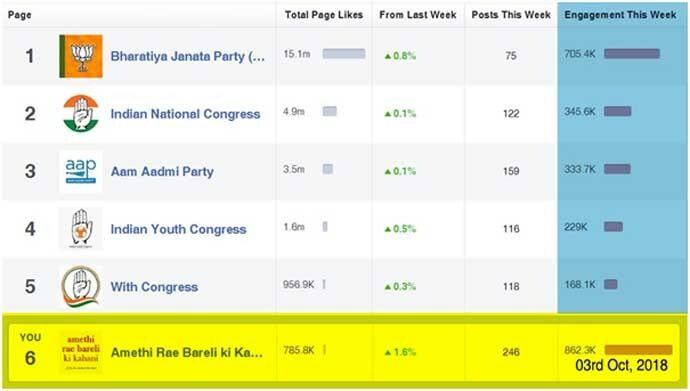 Amethi Rae Baraeli Ki Kahani with less than a million followers is ahead of the BJP and the Congress pages in terms of weekly engagement. If in 2014, it was volunteer’s mission 272+, in 2019, it’s going to be ‘nation with NaMo’. The volunteers form the core of any political party for any social media campaign to become a success. The more committed and larger the network a party has, the better it is for the party’s outreach. In this regard, BJP not only has the biggest volunteer network but in the manner the BJP treats it volunteers and acknowledges their presence makes them even more committed towards the party and its ideology. The BJP volunteers therefore are high-spirited in defence of their party and its supreme leader. Something that the Congress must learn from the BJP. The Congress’s social media department is often seen fighting ego battles with its own leaders, supporters and well-wishers and it clearly does not acknowledge or stand by them. PM Modi’s volunteer influence strategy can be gauged from the fact that even when one of his ardent followers and vociferous supporters tweeted a compliment about PM’s scarf, the PM gifted her the scarf the next day. The role of social media, therefore, in the 2019 elections is not only crucial but will also prove to be the game changer if the other parties also come up with a strategy to beat the BJP at its own game. The influence of social media is immense, especially in these times, when the media is very controlled. So what doesn’t reach out to the masses through mainstream media, must reach out to them digitally. For the Congress, it is very important to take the digital game very seriously as it’s facing an existential crisis and the same digital world has harmed it in blemishing its 132-year-old iconic brand. To revive an iconic brand, they need a well-defined and executed brand strategy, something which is a miss. Entrepreneur, blogger and political analyst based in Gurgaon.